State of Illinois Parking Program for Persons with Disabilities Abuse Complaint Form. The Texas Governor’s Committee on People with Disabilities presented an overview of its study on accessible parking and an update on accessible parking activities around the country to the Texas Council on Developmental Disabilities on May 3, 2018. 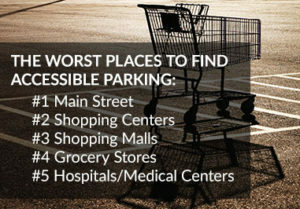 This presentation summarizes study findings, recommendations, and noted best practices from other states to deter accessible parking and disabled placard fraud and abuse. Recent legislative efforts from around the country on disabled placard fraud and abuse and the formation of the National Accessible Parking Coalition formed in December 2017 are also highlighted.